Xiaomi adds the latest features to its custom Android skin – MIUI – even without upgrading devices to the newest version of Android. This allows Xiaomi to alleviate the interface and the user’s experience without having to necessarily ramp up the Android version. For instance, there is only a marginal difference between MIUI 10 builds based on Android 7.1 Nougat and Android 9.0 Pie. However, this isolation can often result in crucial features, like Adaptive Battery or Digital Wellbeing from Android 9.0 Pie, being skipped or dropped from MIUI – until Xiaomi comes up with its own adaptation of the feature. Filling this gap, Xiaomi is now integrating its own iteration of the Digital Wellbeing in the latest MIUI betas for certain devices. As expected, Xiaomi’s clone of Digital Wellbeing apprises users of their screen usage aside from the amount of time they spend per app on a daily, weekly, or monthly basis. You can tap on each app individually to see the total screen-on-time spent while using the app throughout the day, including an hourly charter. 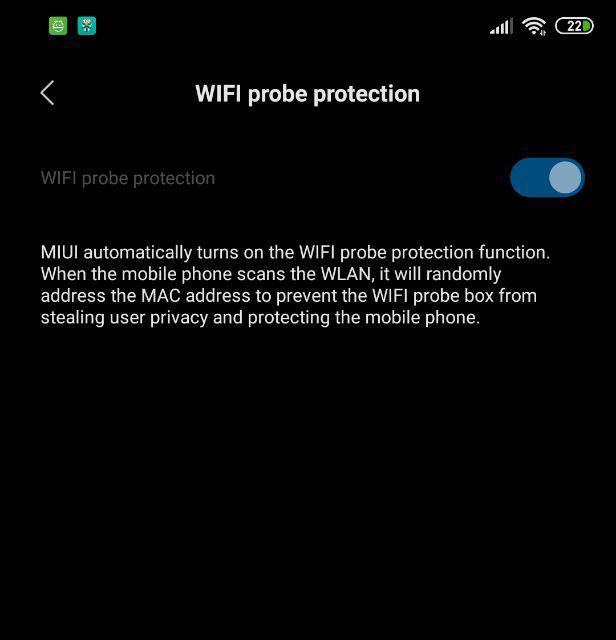 Additionally, the MIUI beta ROMs also get Wi-Fi probe protection feature, which should protect the data transferred from or to your device over a Wi-Fi connection. From what it appears, the feature will randomize your smartphone’s MAC address so that the actual address is not shared with the WLAN router with a probe frame (a request from the smartphone to scan available Wi-Fi networks in the vicinity). This should prevent any miscreant from wiretapping into the data sent over the connection, especially in case of public Wi-Fi networks.